Industry Resources — Mike French & Company, Inc. The Automotive Recyclers Association (ARA) is the voice of the professional automotive recycling industry. Founded in 1943, ARA represents an industry dedicated to the efficient removal and reuse of automotive parts, and the safe disposal of inoperable motor vehicles. James Environmental Management, Inc. (JEM) and their team of professionals provide a broad range of environmental and safety consulting services. Specializing in the strategic management of environmental affairs, JEM provides a balance between the technical and business aspects of environmental and safety compliance. 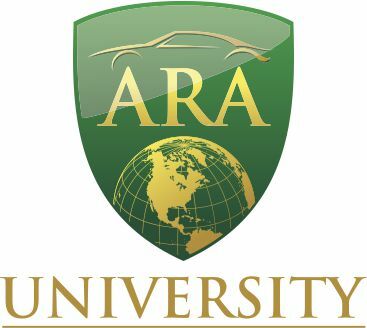 ARA University provides the auto recycling industry with a cost-effective training solution from industry recognized trainers sharing information and knowledge for your employee team. ARA University is affiliated with Automotive Recyclers Association, an international trade association which has represented an industry dedicated to the efficient removal and reuse of automotive parts, and the safe disposal of inoperable motor vehicles. Ron Sturgeon, Mr. Mission Possible, has been a successful business owner for more than 35 years. As a small business consultant, he can deliver wisdom and advice gleaned from an enviable business career that started when he opened a VW repair business as a homeless 17-year-old and culminated in the sale of several businesses he built to Fortune 500 companies. Ron has helped bankers, lawyers, insurance agents, restaurant owners, and body shop owners, as well as countless salvage yard owners to become more successful business people. He is an expert in helping small business owners set the right business strategies, implement pay-for-performance, and find new customers on the web. As a consultant, Ron shares his expertise in strategic planning, capitalization, compensation, growing market share, and more in his signature plainspoken style, providing field-proven, and high-profit best practices well ahead of the business news curve. Ron is the author of nine books, including How to Salvage More Millions from Your Small Business. D.J. is the President and Chief Executive Officer of Phone Logic, Inc. an international training company based in Atlanta, Georgia. He serves as a consultant and trainer to over 1,000 privately owned businesses throughout the country, training personnel at all levels of the company, from the operator/dispatcher to the customer service and sales staff. Counts Consultings goal is to change the image of the junkyard and wrecking yard to that of a professional auto and truck recycler. GM Consultants is a business brokering agency specializing in representing owners of full-service & self-service auto recycling, scrap metal recycling and catalytic converter collectors. He represents yard owners to dozens of national and regional recycling companies. For several years, he consulted with CRUSH Software, to help them become the standard yard management system for U-Pull-It auto recyclers. He can be reached in Salt Lake City, Utah at 801-953-1003 or GeorgeMetos @aol.com.